Series searching for untapped interior design talent. It's the first of the quarter-finals and three previous winners battle it out for two places in the semi-final. It's the first of the two quarter-final programmes and three previous winners battle it out for two places in the semi-final. This time they have three days and a larger budget of £1,200 to redesign quirky, open-plan rooms in an architecturally significant 1960s housing complex. 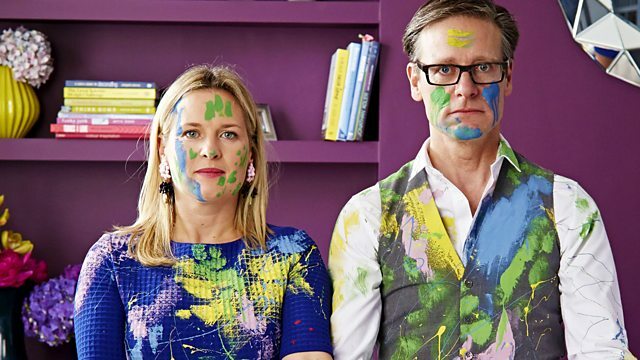 All three designers must prove that they have imagination, skill and style if they're to win a coveted place in the semi-final of the Great Interior Design Challenge. One designer must work to a Persian brief - ensuring they get the right balance of theme and authenticity. Problems with some floor tiles threaten to derail our second designer, working to a bright, bold, Austin Powers-inspired brief. While our third designer must prove they can work sympathetically within the 60s architecture of the building. Architectural Historian Tom Dyckhoff marvels at the design behind these standout buildings - locally nicknamed the Elephant Houses. Meanwhile, judges Sophie Robinson and Daniel Hopwood have the daunting task of choosing which designer must leave the competition... and which two go through to the next round.